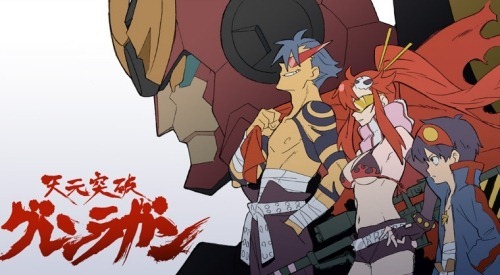 So some of you know I watch anime and a personal favourite of mine is Tengen Toppa Gurren Lagann [Gurren Lagann for short.] A brilliant anime of 27 episodes and 2 movies, well worth a watch. 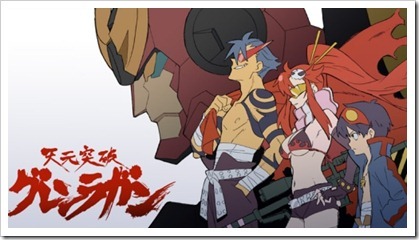 The animation studio behind Gurren Lagann, Gainax, have brought out a nice set of AMVs [Anime Music Videos] showcasing the characters set in parallel universes, hence the name. For your viewing pleasure I have included them below. And so I won’t get sued, buy the DVDs etc etc. Now remember, its not just solely the animation you are watching for, its the mix of both animation and music. Episode 4 of the main series brings back terrible memories… if you’ve watched this series you’ll know what I’m feeling right now. I think I’ve bombarded you with enough videos for now, ta-ra.